For the first time, researchers showed that therapeutic cloning or SCNT has been successfully used to treat disease in the same subjects from whom the initial cells were derived. While this current work is in animals, it could have future implications as this method may be an effective way to reduce transplant rejection and enhance recovery in other diseases and in other organ systems. In therapeutic cloning or SCNT, the nucleus of a somatic cell from a donor subject is inserted into an egg from which the nucleus has been removed. This cell then develops into a blastocyst from which embryonic stem cells can be harvested and differentiated for therapeutic purposes. As the genetic information in the resulting stem cells comes from the donor subject, therapeutic cloning or SCNT would yield subject-specific cells that are spared by the immune system after transplantation. The new study shows that therapeutic cloning can treat Parkinson’s disease in a mouse model. The scientists used skin cells from the tail of the animal to generate customized or autologous dopamine neurons—the missing neurons in Parkinson’s disease. The mice that received neurons derived from individually matched stem cell lines exhibited neurological improvement. But when these neurons were grafted into mice that did not genetically match the transplanted cells, the cells did not survive well and the mice did not recover. The work was led by senior author Lorenz Studer, MD, Head of the Stem Cell and Tumor Biology Laboratory within the Sloan Kettering Institute at MSKCC, and lead author Viviane Tabar, MD, Neurosurgeon and stem cell scientist at MSKCC. The work was performed in collaboration with scientists at the Riken Institute in Kobe, Japan. 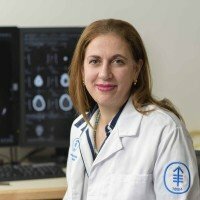 Other MSKCC researchers who contributed to this study are: Mark Tomishima, Georgia Panagiotakos, George Al-Shamy, Bill Chan, and Jayanthi Menon. Scientists in Japan include group leader Teruhiko Wakayama and scientists Eiji Mizutani, Sayaka Wakayama and Hiroshi Ohta. This research was supported by the US National Institute of Neurological Disorders and Stroke, the Starr Tri-institutional Stem Cell Initiative, the Michael J. Fox Foundation for Parkinson’s Research, the Michael W. McCarthy Foundation and an unrestricted grant from the Kinetics Foundation.